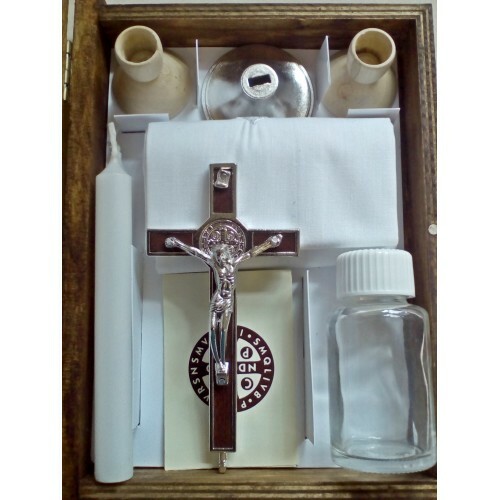 An absolute essential in every Catholic household! 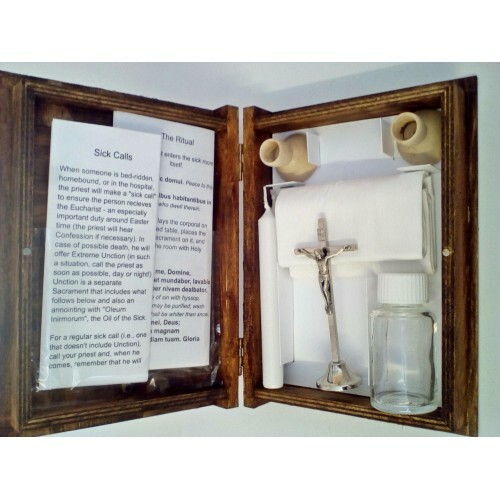 This sick call set box/book, contains all the necessary items needed for when a loved one is unable to go to Mass and the priest comes to give them Holy Communion or even the Last Sacraments. 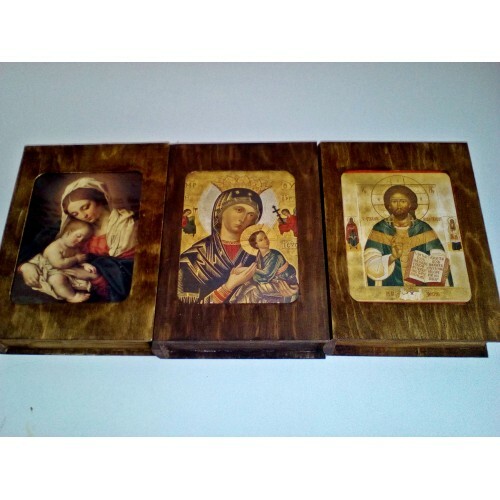 – Two candle holders, specially wood turned for this set to fit the candles. – Instructions on how to set things up before the priest comes. – The ritual (in Latin and English) for the traditional rite. 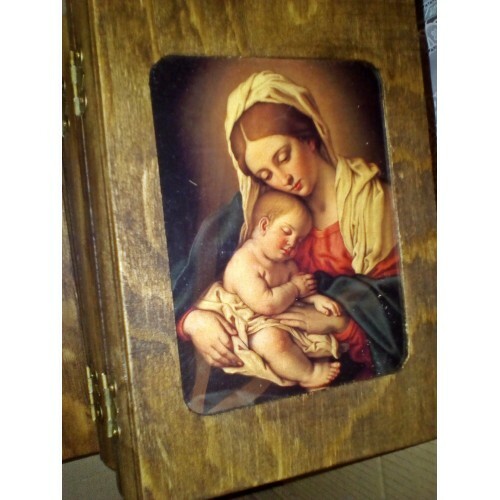 The religious picture at the front of the box-set will be unique to each set.